Published at 15/05/2017 21:05:35 from Argentina, 8407 visits. 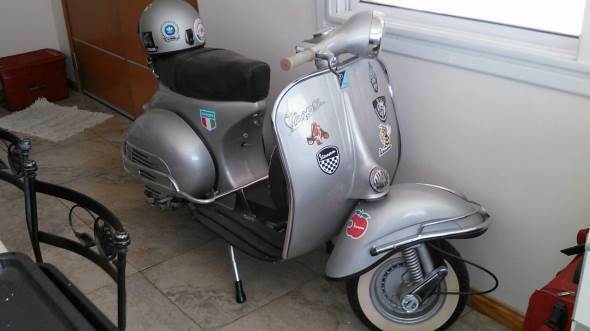 Vespa VBB1 year 1962 in excellent condition with chrome and accessories of the highest quality. Documentation in order for transfer. Silver grey both painting and mechanically in excellent condition. South of the GBA, Ranelagh.